No backing timber required perfect for new build or replacing rotten timbers simply nail straight on to joists. 16mm fascia boards will hold the gutter screws no need to hit timber. Use 65mm nails 16mm thick with a 32mm lip. Description: 16mm Full replacement Board Dimensions: 16mm x 2.495m x 150mm Colour: White Click Here To See All 9mm Upvc fascia Cover Board Sizes Options & Prices. Or Follow The Links Below For Related Products - Pvc Guttering Systems. &nbs.. Description: 16mm Full replacement Board Dimensions: 16mm x 5m x 150mm Colour: White Click Here To See All 9mm Upvc fascia Cover Board Sizes Options & Prices. Or Follow The Links Below For Related Products - Pvc Guttering Systems. .. Description: 16mm Full replacement Board Dimensions: 16mm x 2.495m x 175mm Colour: White Click Here To See All 9mm Upvc fascia Cover Board Sizes Options & Prices. Or Follow The Links Below For Related Products - Pvc Guttering Systems. &nbs.. Description: 16mm Full replacement Board Dimensions: 16mm x 5m x 175mm Colour: White Click Here To See All 9mm Upvc fascia Cover Board Sizes Options & Prices. Or Follow The Links Below For Related Products - Pvc Guttering Systems. .. Description: 16mm Full replacement Board Dimensions: 16mm x 2.495m x 200mm Colour: White Click Here To See All 9mm Upvc fascia Cover Board Sizes Options & Prices. Or Follow The Links Below For Related Products - Pvc Guttering Systems. &nbs.. Description: 16mm Full replacement Board Dimensions: 16mm x 5m x 200mm Colour: White Click Here To See All 9mm Upvc fascia Cover Board Sizes Options & Prices. Or Follow The Links Below For Related Products - Pvc Guttering Systems. .. Description: 16mm Full replacement Board Dimensions: 16mm x 2.5m x 225mm Colour: White Click Here To See All 9mm Upvc fascia Cover Board Sizes Options & Prices. Or Follow The Links Below For Related Products - Pvc Guttering Systems. .. Description: 16mm Full replacement Board Dimensions: 16mm x 5m x 225mm Colour: White Click Here To See All 9mm Upvc fascia Cover Board Sizes Options & Prices. Or Follow The Links Below For Related Products - Pvc Guttering Systems. .. Description: 16mm Full replacement Board Dimensions: 16mm x 2.495m x 250mm Colour: White Click Here To See All 9mm Upvc fascia Cover Board Sizes Options & Prices. Or Follow The Links Below For Related Products - Pvc Guttering Systems. &nbs.. Description: 16mm Full replacement Board Dimensions: 16mm x 5m x 250mm Colour: White Click Here To See All 9mm Upvc fascia Cover Board Sizes Options & Prices. 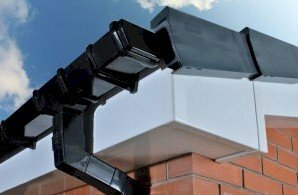 Or Follow The Links Below For Related Products - Pvc Guttering Systems. .. Description: 16mm Full replacement Board Dimensions: 16mm x 2.495m x 300mm Colour: White Click Here To See All 9mm Upvc fascia Cover Board Sizes Options & Prices. Or Follow The Links Below For Related Products - Pvc Guttering Systems. &nbs.. Description: 16mm Full replacement Board Dimensions: 16mm x 5m x 300mm Colour: White Click Here To See All 9mm Upvc fascia Cover Board Sizes Options & Prices. Or Follow The Links Below For Related Products - Pvc Guttering Systems. ..
Also sold by the metre see below 16mm x 2.495m x 410mm replacement fascia Please note this is a double edged board it does not have a cut edge, if you nee a straight cut edge you can cut it to 395mm max. Click Here To See All 9mm Upvc fascia Cover Board Sizes Options ..
Also sold by the metre see below 16mm x 5m x 410mm replacement fascia Please note this is a double edged board it does not have a cut edge, if you nee a straight cut edge you can cut it to 395mm max. Click Here To See All 9mm Upvc fascia Cover Board Sizes Op..
1 metre length 16mm x 1m x 410mm replacement fascia Please note this is a double edged board it does not have a cut edge, if you need a straight cut edge you can cut it to 395mm max. Click Here To See All 9mm Upvc fascia Cover Board Sizes Options & Prices. .. Description Stainless steel white headed nails for 17mm fascia uPVC plastic boards Average contents 100 pins Generally used for/with white fascia and soffit boards. .. Description: Interlocking tongue and grove soffit fixes in to an edge trim Cannot be interchanged with other sizes White Hollow Soffit : T & G Hollow Soffit in 5m lengths. Because of its attractive panelled effect and easy to install friendly tongue and groove system profile, hollow sof.. Neutral Silicone Low Modulus APPLICATION Premium grade, one part, neutral curing, silicone sealant for glazing, constructions and industrial applications. Perimeter sealing of wood, PVCu and aluminium widnow and door frames. Sealing of roofline and drainage systems. Weathersealing of al.. Description: Hollow Soffit/Cladding H Section - 10mm Hollow Cladding H Section Dimensions: 10mm x 5m length ..
White Hollow Soffit/Cladding Edge Trim for use with Hollow T&G Soffit cladding and General Purpose & Vented Flat Board Manufacturer: Homeline Product Length: 5m Accreditations: BSI Approved Guarantees: 15 Years Product Type: White Hollow Soffit J-Trim .. The white internal corner are used with hollow soffit boards. The gap in the internal corners can accomodate 9mm deep. .. Description: Fascia Board Corner Dimensions: 300mm long .. Description: Fascia Board Joint Dimensions: 300mm long .. Description: Double Joint Dimensions: 500mm long .. Description: Double External Fascia corners Dimensions: 500mm long ..
Fascia Board Double Ended Internal Corner Dimensions: 500mm long Double Ended, can be cut down with a hand saw. .. Description: For fixing your trims in to timber soffits Stainless steel pins for use on upvc cladding trims ( these pins do not have white tops ) Quantity : 200 per box ..
.Complete your white roofline installation with a stylish white roof finial creating a perfect finish. The finish matches most white uPVC fascias, soffits, doors, and windows. .. Description: 900mm strips bird stop Fixes to the top of your fascia board to fill in the holes in scrolled tiles to prevent birds from getting in. To fit push back the bottom row of tiles and nail or screw the bird stop in to position. Pack of 1 Prevents birds from nesting and causing.. Description: Ubbink vented eaves protection system sold in 900mm lengths complete with bird stop .. Description: Ubbink vented eaves protection system sold in 900mm lengths NO bird stop for use with flat tiles or natural slates .. Description: PVCu Cream Cleaner is a solvent-free formulation designed to remove ingrained dirt, stains and pollution from PVCu window frames without scratching. Buffs to a deep sheen. .. Description : 80mm x 5m soffit roof ventilation strip use short ways with between hollow soffit, or long ways to vent hollow cladding and when using solid 9mm soffits .. Plastic uPVC White 68mm Round Soffit Vent. We also have 70mm Vent, Search Code: G-DV-W ..
Silicone 700T is a fast, neutral cure, low modulus sealant specially formulated for the PVCu and roofline industry. For perimeter pointing window and door frames, sealing plastic roofline areas and general weathersealing. Now contains a powerful anti-fungal compound. .. Plastic uPVC White 70mm Round Soffit Vent. We also have 68mm Vent, Search Code: E70DSVSW ..